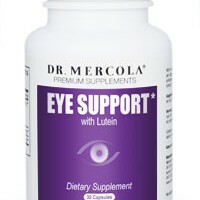 "Secret Ingredients Your Eyes are ‘Starved’ For… "
Cornea - the clear skin that covers the front of your eye. It’s as clear as glass and contains no blood vessels. Sclera - the tough skin that surrounds most of the outside of the eyeball, known as the 'white' of the eye. Pupil - the hole in the iris that lets light into your eye. It becomes tiny in bright sunlight, and larger in darkness. Lens - focuses light onto the retina. It changes shape as needed to ensure the 'picture' on the retina is as clear as possible. Macula - in the center of your retina. Produces your central vision which enables you to read, drive, and perform other activities requiring fine, sharp, straight-ahead vision. After light enters your pupil, it hits the lens – which focuses those light rays on the back of your eyeball - the retina. The job of an antioxidant compound is to neutralize dangerous free radicals in your body. Free radicals that are formed in the fat or lipid sections of the body are handled by the fat soluble antioxidants. Those that are formed in the watery or aqueous sections of your body are handled by the water soluble antioxidants. Both water and fat soluble antioxidants should be taken together to protect yourself from free radicals generated from fat or aqueous portions of your body. Fat soluble antioxidants find their way into in the fat or lipid-based tissues in your body. Unspent amounts of these antioxidants are stored in your body's fat. High amounts stored in your body can become toxic and therefore some fat soluble vitamins, such as vitamin A, should not be taken at extremely high dosages. Fat soluble antioxidants are important to protect the photoreceptor membranes (stacks of membranous disks that are rich in polyunsaturated fatty acids (PUFA's) from lipid peroxidation. Zeaxanthin is the strongest antioxidant carotenoid found in your retina. The average American only gets 0.2 to 2mg of zeaxanthin per day, depending on the amount and mix of vegetables and fruits in their diet. Studies show that your eyes need more zeaxanthin on a daily basis. * Unfortunately, zeaxanthin can’t be made by your body, so it must be supplemented as part of your diet. Cooking your leafy green lutein and zeaxanthin-containing foods on low heat can actually increase their bioavailability by breaking the cell walls and the carotenoid-protein complexes. Water soluble antioxidants are those that are soluble in your cell’s cytoplasm and blood. Your body cannot store water soluble antioxidants, unspent or excess of these are simply excreted from the body through the urine so a person cannot theoretically be overdosed. Most dietary antioxidant compounds are water soluble. The majority of dietary antioxidant compounds are water soluble, such as vitamin C, catechins from green tea, and anthocyanins from red, blue, and purple plants. 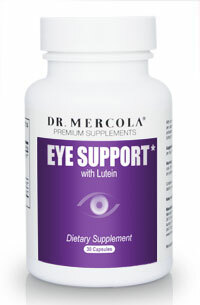 The most noted water soluble antioxidants for the eye are the anthocyanins found in black currant and bilberry. They are important for eye health because they are soluble in the aqueous humor, thick watery substance filling the space between the lens and the cornea. The aqueous humor maintains the intraocular pressure, provides nutrition for other ocular tissues and serves to transport antioxidants. Bilberries, known in the United States as huckleberries, are the European relative to the blueberry and the cranberry. Bilberry has a long history of use in Europe. The challenging thing is…these incredible nutrients are hard to find in typical eye health products. And they must be of superb quality for you to reap the benefits. The second cutting edge ingredient in my Eye Support product is astaxanthin, the carotenoid that gives salmon, lobster, krill, crab, other shell fish their pink and reddish colors. Astaxanthin has 500 times the antioxidant capacity of vitamin E. That means that when compared to an equal amount of vitamin E, astaxanthin is 500 times more effective. The bottom line here is this… Naturally occurring astaxanthin in supplement form can offer powerful antioxidant protection for your eyes. * And this is important, since if you’re like most people, your diet likely lacks sufficient amounts of astaxanthin. And we formulated them in the dosages tested intrial on carotenoid antioxidant supplementation and its impact on retinal function. I cannot stress enough the importance of getting these two new ingredients which are available in my top quality Eye Support*. As with all my supplements, Eye Support is backed by my 100% Money Back Lifetime Guarantee so you can try it with NO RISK!